Timothy Zahn is the author of more than forty novels, nearly ninety short stories and novellas, and four short-fiction collections. In 1984, he won the Hugo Award for Best Novella. 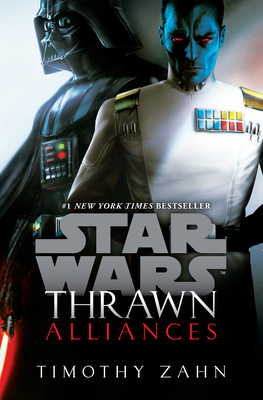 Zahn is best known for his Star Wars novels (Heir to the Empire, Dark Force Rising, The Last Command, Specter of the Past, Vision of the Future, Survivor’s Quest, Outbound Flight, Allegiance, Choices of One, and Scoundrels), with more than four million copies of his books in print. Other books include the Cobra series, the Quadrail series, and the young adult Dragonback series. Zahn has a B.S. in physics from Michigan State University and an M.S. from the University of Illinois. He lives with his family on the Oregon coast.